Hi everybody its my first post, just joined up because im having trouble I can't solve on my own. So I have a 42" jvc lcd tv about 8 years old yeah I know its old but I like it. So when it was still in warranty maybye 5 years ago I had a issue with garbled jumpy display, audio ok. Guys came to my house fixed on spot, I think they soldered something but was 5 years ago. Recently the issue came back. It happens random sometimes after 5 minutes others after 30.I do have pretty good electronics repair skill including soldering. 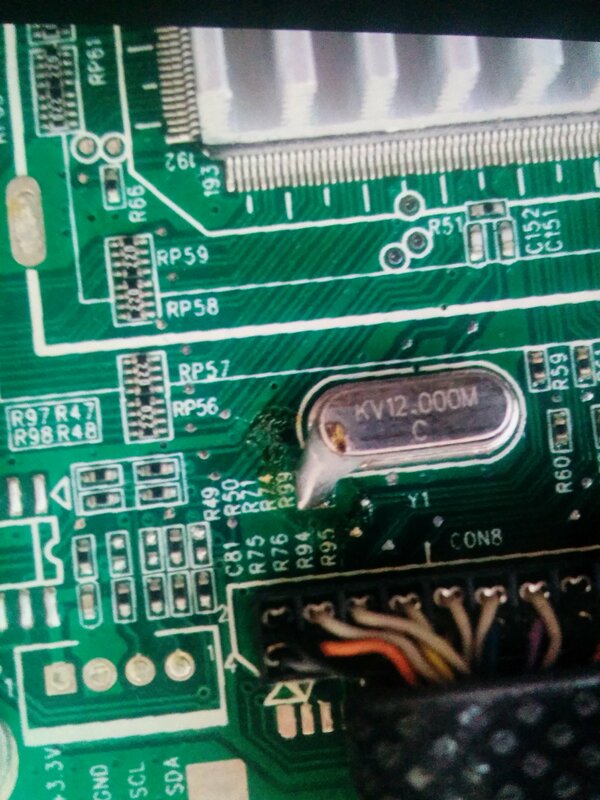 So first thing I did is open it up look for bulging leaking capacitors on all the boards, no luck all nice and flat and round. I have a spare working inverter board so changed that incase, still same issue. Didn't think inverter was the cause. Next I got a second tconn board, put it in and exactly the same issue. 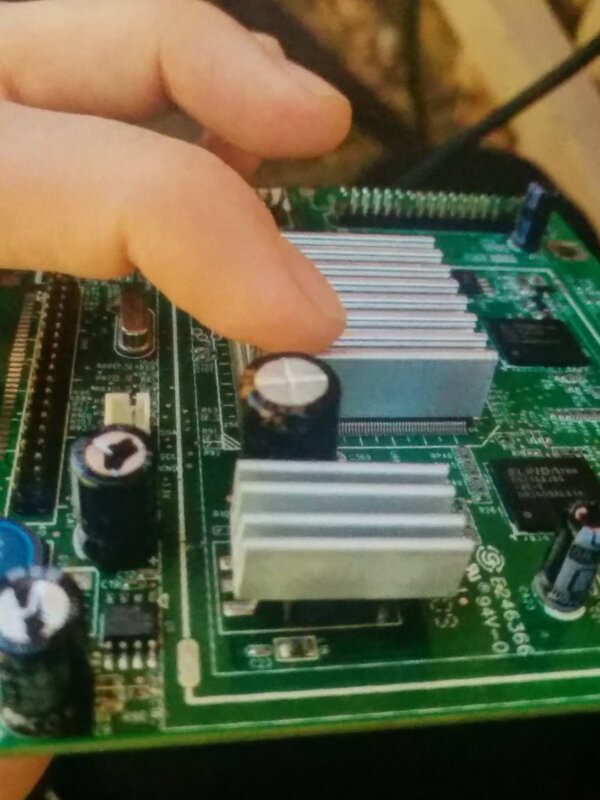 So it looks like its the main board. The question I am hoping somebody can help me out with is this. On one of the boards, where one of the cables from the tconn board goes I can see what looks like some flux residue which makes me think a part was replaced possibly by the guys that fixed my tv. Since its the same issue now I want to try replace this part. Before I try to find a replacement I am wondering if somebody here can tell me if this part could be responsible for the issue I am seeing or its a coincidence there is flux residue around.